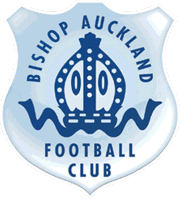 Bishop Auckland Club is delighted to announce the player kit sponsorship packages for the 2017-18 season. Player sponsorship is not only a fantastic way of showing support for your club but also a great way of supporting your favourite player. The increase in price from last season is because the sponsor will receive the match worn shirt signed by their player at the end of the season. The cost of sponsorship must be paid in full and the sponsor will be invoiced when the package has been confirmed by the Club. Anyone who sponsored a player’s kit last season will have until 5pm on Mon 31st July 2017 to renew their sponsorship for this new season, after which the remaining packages will go on general sale. The players below are currently available for kit sponsorship. If further players are registered they will become available to sponsor. In return for your sponsorship you will receive an invitation to be presented with a match worn shirt signed by your player, a photo taken of you with your sponsored player and your name listed against your player in every match day programme and on the office Club website! All you have to do to apply to sponsor a first team player’s kit for next season is email to [email protected]. 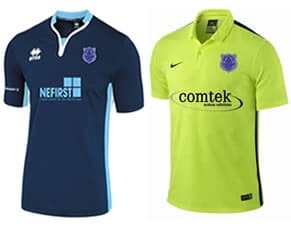 Please be prepared to offer 3 choices of player and state clearly whether you wish to sponsor the 1st team shirt (two blues) or the change shirt (yellow). If your first choice of player is unavailable you will be allocated your second or third choice accordingly. Remember, the kit sponsorship offer is only available initially for those wishing to renew their sponsorship from last season until 5pm on Mon 31st July 2017, then the remaining kit sponsorship packages will go on general sale.